Crimson Trace Laser Grips for the Sig Sauer P226 feature a comfortable and secure rubber texture with a sturdy polymer frame. 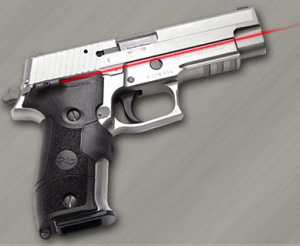 The easily activated red laser puts you on target fast. Front activation switch.